Home11:11The 11:11 Wish Fairy Now Has a Mailbox! 11:11 miracle alert! I’ll never forget today! 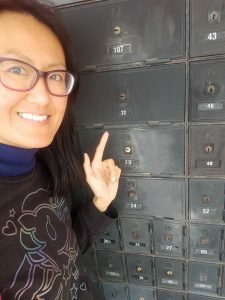 I went to check out my new PO Box 22 (yep, 11+11). 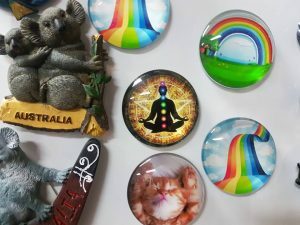 I was delighted to see chakra and rainbow bridge magnets (concepts I’ve been teaching at Perfect Potion – join our next event on 25 July) and a witch’s cat toy. I said to the owner that it was more new age store than post office then went ”it’s 1.11 on the 11th on your clock’. Imagine my face when she says, ‘Oh, I saw 11:11 this morning, for the first time ever’. I tell her about my 11:11 page and say that new beginnings are coming. She mentions her partner Greg. I’ve just been at my friend Greg and Julie’s place, so I jokingly ask ‘is your name Julie?’ and she says ‘it’s Judy’! 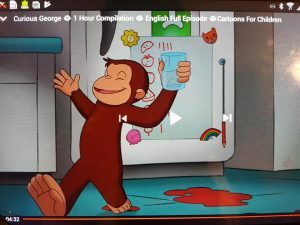 It gets better – the PO box is at exactly my height plus I saw 3:33 and 4:44 and 5:55 at home before turning Curious George off as 1111 was showing. Whoaaaa. Am feeling so aligned and in flow. P.s Love to receive your 11:11 wishes, stories and photos by mail for an art show I’m creating. Please include a stamped self-addressed envelope so I can thank you. If you include your DOB and email e.g. 11 January 1976, info@sarahyip.com I’ll send lifepath info. All ages welcome. Allow 2-3 months for replies. -Join my Facebook pages The Numbers Queen and Lifepath 11. You’re welcome to post questions on the timelines, however I don’t offer free advice, only paid readings.ing this process for years with clients and myself, and the results are phenomenal. 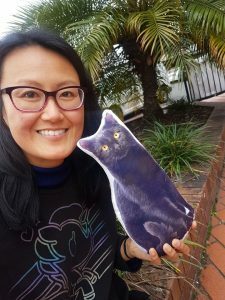 teach numerology and palmistry workshops in Brisbane. For a reading within 7-14 days, book a Tarot reading in Brisbane with my husband Kris on 0428 626 727. Read more about Kris. I also recommend Vicki Haspels and Caroline Byrd, my spiritual mentors and gifted mediums.